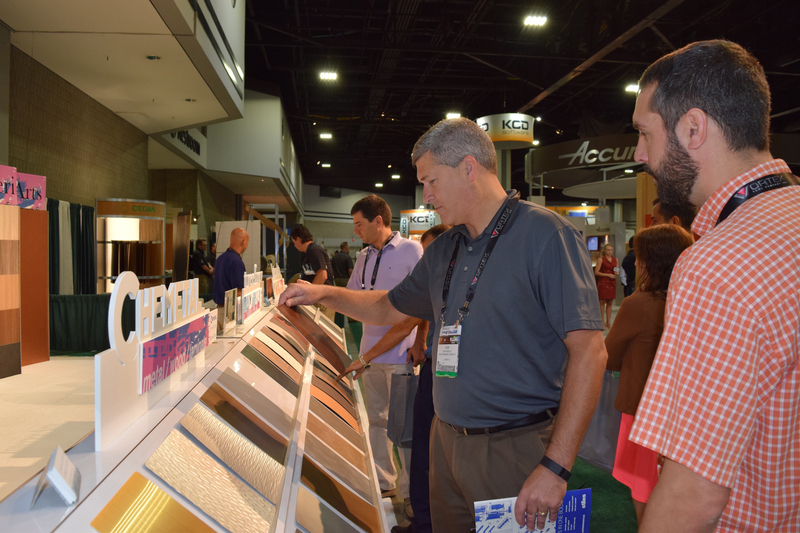 Decorative Veneer Inc.'s new ultraviolet-cured MDF powder-coating line, believed to be the first in the nation, complements its existing laminate offerings. Decorative Veneer Inc. of Plainwell, MI, manufactures component parts for furniture manufacturers. For more than 30 years, the company has produced those parts by vacuum forming or membrane pressing vinyl onto MDF substrate. “[Vacuum forming] is by definition a batch process, not unlike making cookies, where you’re constrained by the size of the oven and the number of cookies you can get on the tray,” says Mike Knoblauch, president and CEO of the 25-employee company. That limits the company’s ability to grow, he adds, both because of capacity and what he terms the “embedded costs” of each part. Those costs include preparing the MDF substrate, spraying adhesive, and forming and trimming the vinyl, and they climb step-in-step as production rises. Fourteen guns coat both sides of a part as it travels through the spray booth. “It doesn’t matter if you’re running a hundred parts or ten thousand, those embedded costs are always there,” Knoblauch says. To continue growing the business, Knoblauch looked to powder coating. About a year ago, he visited Nordson’s new UV powder lab in Amherst, OH. “We ran some product and we were very pleased with what we saw in terms of the application of the product, and the cosmetic appearance.” Knoblauch also appreciated the lower heat requirements of UV powder, which enabled the system to accommodate a broad range of standard MDF substrates supplied by numerous MDF manufacturers. Additionally, Knoblauch recognizes that the UV powder market was supported by a number of powder manufacturers and resin suppliers who have identified UV powder as a strategic market. 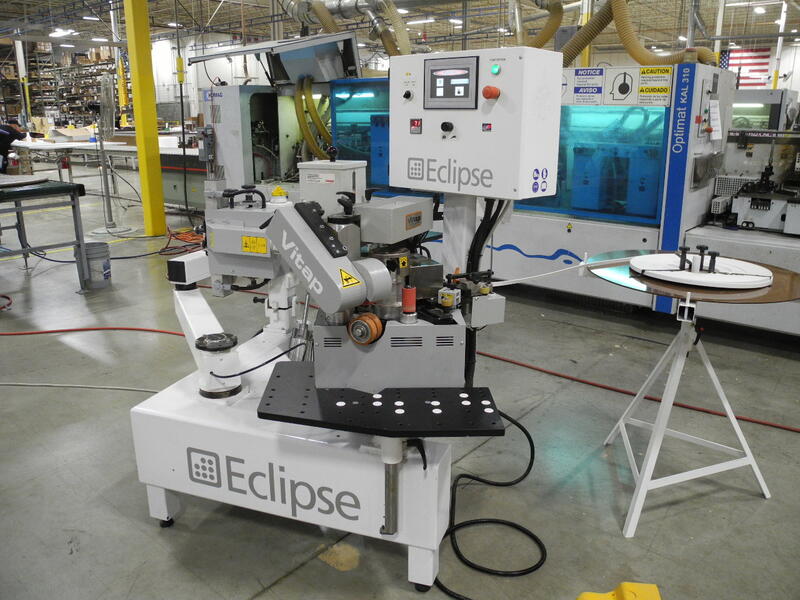 The company soon purchased the first UV system in the nation for coating MDF and began running product earlier this year. Knoblauch said that getting the system running was not a difficult task. Both Nutro, the system integrator, and Nordson, which supplied the spray booth and guns, provided training support. “It probably took a couple of weeks to get to the point where we were comfortable with being able to manage the system ourselves,” Knoblauch said. The company uses powders from five companies — DuPont, Akzo-Nobel, Valspar, H.B. Fuller and Govesan — and received technical support from each of them as well as it began running their products. In the Nutro cure oven, ultraviolet light cures the powder finish in just a few seconds. “The key is to understand the relationship between the substrate, the powder, the heat and the deposition of powder on the part,” Knoblauch says. Each powder manufacturer gave guidelines on the heat levels needed, but DVI had to determine how each worked with MDF on its own. “Initially we ran board samples from a number of different board suppliers to essentially build a hierarchy of board product, so we know whose product can be successfully covered,” Knoblauch says. “We did that across the spectrum of powder that we had available to us,” to determine the best combinations. Knoblauch will not divulge which boards DVI uses, but says that they are standard MDFs currently available on the market. The powder-coating line itself is almost fully automated, requiring only three to five operators for loading and offloading parts from the hanging conveyor system and performing periodic inspections and visual maintenance checks. A numerically controlled combination convection and infrared oven pre-heats parts to a “moderate” temperature that Knoblauch says does not damage the MDF substrate. Fourteen guns in the spray booth, controlled by Nordson’s Sure Coat modular gun control system, coat both sides of the part with a thin powder layer, about 3 mils thick. The powder easily finishes design characteristics like radiused edges and recesses. DVI has two spray module options. One is spray-to-recover module, which can recapture most of the overspray powder, resulting ultimately in 90 to 95 percent efficiency in material usage. The other is a Quick Change spray-to-waste module, which has efficiency of about 55 to 60 percent. Spray-to-waste is better for short runs of a color, however, because it is easier to clean for changeover. With it the booth needs to be cleaned and the hoses blown out; the spray-to-recover module has filters that need to be changed as well. A Coyote wet and flow oven, from Nutro, brings out the performance characteristics in the powder. For example, a powder’s gloss level and texture appear at this step. In the cure oven, 14 Fusion UV lamps bathe the part in ultraviolet radiation. Photoinitiators — chemicals in the powder that react when hit by UV radiation — then cross-link, bonding powder molecules to each other to form a tough protective shell. Knoblauch says it is a “certain cure,” because nothing in the thin powder layer blocks the UV light from starting the reaction, all the way down to the wood line. Powder-coated parts are still a small part of DVI’s business, and the powder room occupies a small section of the company’s 37,000-square-foot facility. The rest houses the company’s laminating operation and warehousing space for both sides of the business. The company laminates vinyl on MDF using nine presses, each either built by Greco or adapted from 3M presses. Employees touch-sand many of the parts for lamination as they enter the plant, to prevent marks from telegraphing through the vinyl. “That’s a step that’s not usually needed when powder-coating because the powder will flow over any scuffs,” Knoblauch says. The laminating process also requires hand-spraying of adhesive and hand-trimming of the vinyl after pressing. Those factors, and the automation of the powder line, combine to make powder coating a much faster operation. Knoblauch says one production run took two and a half hours to powder-coat; laminating the corresponding quantity would have taken 14 hours, plus the time for preparation and trimming. 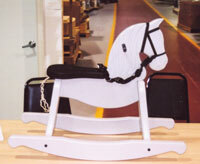 Decorative Veneer produced this toy horse to demonstrate powder’s potential to finish curves and recesses smoothly. That being said, laminating remains the more cost-effective process for relatively small runs of parts. “For introductory purposes, we’re telling customers 250 pieces,” in a color is the minimum run that can be efficiently powder-coated, Knoblauch says. He adds that as demand increases, he expects to raise that minimum to 500-part runs. 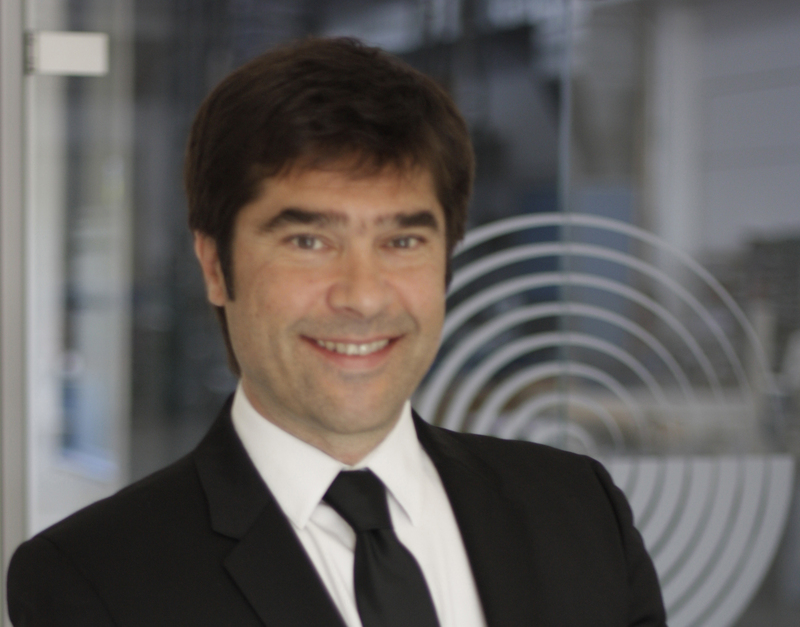 Knoblauch says having both processes available gives DVI a key advantage. Vinyl and powder finishing add similar value to a part, he says, so the company can guide a customer to the more suitable finishing option, even if it is one that the customer had not considered. One of the benefits to powder coating is its environmental friendliness. The powder-coating process releases no VOCs, and, unlike vinyl, it can be put into the waste stream and landfilled. “I think another hidden benefit to this process is the low energy consumption,” Knoblauch says. He notes that DVI’s ovens each measure only 10 feet in length, while thermoset ovens can be four times larger and also must run at higher temperatures. Knoblauch also believes the environmental friendliness of the system will aid in selling as the process becomes more well-known. As UV powder coating is such a new product, it still makes up a small portion of DVI’s sales. “Every time we call on a customer it’s an education process,” Knoblauch says. “We present the product as a performance package that encompasses color, gloss, texture and the intrinsic performance characteristics that are built into the powder.” In other words, rather than selling a powder’s specifics, the company works with powder manufacturers to supply a powder-coated part to meet the customer’s needs. One of the sales challenges is in differentiating between UV and the more well-known thermoset powders. “We’re working with the powder formulators to create a forum to bring more awareness to the marketplace about the capabilities of UV powder finishing,” Knoblauch says. Knoblauch acknowledges some limitations to the process. Powders with a high yellow content are not compatible with the UV lamps. Texture and gloss are related — low-texture powders may have high gloss levels, and vice versa — so a smooth, flat surface is not yet possible. But Knoblauch says powder’s lower cost (25 percent cheaper than vinyl in large runs) and the greater throughput potential help to offset those limits. He says customer response has so far been “hugely positive,” and stronger than anticipated, both from existing customers and those in new markets that vinyl was too expensive for. “RTA furniture is a primary example, where they’re constrained by what the Wal-Marts, the K-Marts and the Office Depots are willing to pay for a product,” he says. The company has also produced powder-coated parts for healthcare, office and consumer markets.